Posted By PA Breast Cancer Coalition on January 15th, 2016 at 10:03 am | 0 comments. 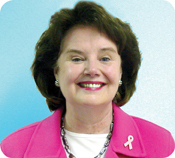 You may recall, in October, the American Cancer Society (ACS) issued new mammography guidelines which raised concerns, especially for us here at the PA Breast Cancer Coalition. The ACS recommendations suggest women begin annual mammograms at age 45 and every other year beginning at age 55. 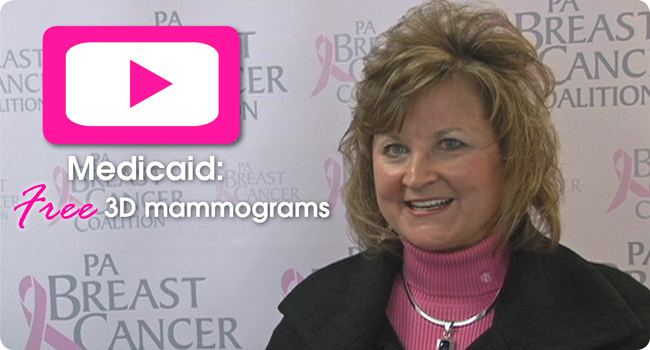 The PA Breast Cancer Coalition believes that starting mammograms at 40 is the gold standard. Another concern with the ACS recommendations was the possibility that insurance companies could use the guidelines as an opportunity to eliminate free mammograms for many women. We know that Pennsylvania insurance agency representatives have already indicated their desire to roll back PA’s guarantee of free mammograms for state-insured women. In response, Dr. Richard Wender, Chief Cancer Control Officer for the American Cancer Society sent a letter addressing our concerns to the PA Secretary of Health and PA Insurance Commissioner, clarifying the intent of the latest mammography guidelines. The letter further explains the ACS recommendations, stressing the importance of a woman’s consultation with her doctor. The PBCC applauds and thanks the American Cancer Society for adressing these concerns, for providing a more in-depth explanation of its screening guidelines and for making it clear that they, in no way, support removing current insurance coverage for women 40 to 45 in our state. Read the complete letter from Dr. Richard Wender on behalf of the American Cancer Society here. UPDATE: The U.S. Preventive Services Task Force released its latest mammography guidelines, recommending women begin screening at age 50. The PBCC strongly diagrees. Click here to read our press release. Posted By PA Breast Cancer Coalition on January 15th, 2016 at 9:59 am | 0 comments. At our October Conference, Pennsylvania became the first state in the nation to include 3D mammogram coverage at no cost to women insured under PA law. 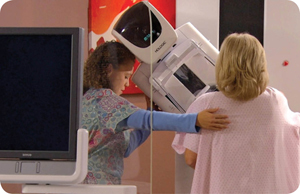 Now, effective December 5, 3D mammograms are also available at no cost to women covered by Medicaid in our state. Incredible good news! Posted By PA Breast Cancer Coalition on January 15th, 2016 at 9:56 am | 0 comments. 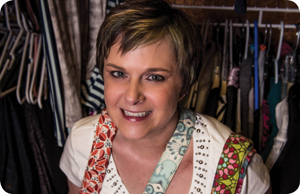 Survivor Heidi Kelly makes beautiful handbags. 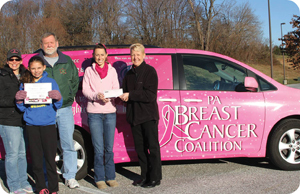 This month, she is donating a portion of her sales to the PBCC! When I finally told my husband he freaked out. Michael’s mom had breast cancer and he stayed up half the night talking to his sisters who are in the medical field. He called my doctor in the morning and said we’re going to get this checked. I didn’t want to go because it was our anniversary and I didn’t want to ruin the day. I had a biopsy and a few days later it was confirmed that I had breast cancer. My husband did the research because reading about it made me too upset. The surgeon wanted to save my breasts but I didn’t want them. I just wanted to get rid of them. I had a double mastectomy and full reconstruction. Then I went on my merry way and was good for two years. Two years almost to the day I found a lump on my scar which the plastic surgeon at first thought might be a suture, but the result was breast cancer again. During this time, I was sewing and learning how to make handbags. I was using other people’s patterns and then I started creating my own patterns. Strangers on the street started complimenting me on them and whenever I posted photos of the bags on Facebook friends would ask for them. Michael said we might want to try to turn this into a business and HKelly designs was born. Whenever I felt good enough I was sewing. My sewing machine became my therapist. This month, I’m selling handmade items on my website with proceeds going to the PA Breast Cancer Coalition! This experience taught me that I’m stronger than I ever thought I was. I’ve always been considered an emotional type who cries at TV commercials. I was outspoken though about my breast cancer and several friends had mammograms after I talked about it openly with them. My new motto is live life now; don’t wait for tomorrow. Tomorrow might not come and not necessarily because of breast cancer. Be the individual who you are. Keeping in mind that tomorrow might not come, my husband and I travel all the time now. Las Vegas is a favorite place; in fact, we were married there in 2007 and we’ve gone back twice this year. We were in Italy last spring and we are headed to Alaska next spring! To check out Heidi’s designs, click here. Posted By PA Breast Cancer Coalition on January 15th, 2016 at 9:54 am | 0 comments. StringsforaCURE is offering a $1,000 Educational Scholarship to help an Erie County student whose family has been touched by a breast cancer diagnosis. The award is a one time, non-renewable scholarship in the amount of $1,000. 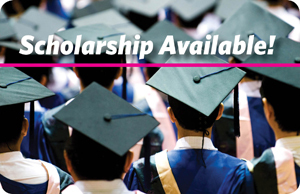 Payment will be made payable directly to the winner’s selected post graduate institution. Applicants should be graduating in May/June 2016 from an Erie County high school, charter school, or home school and live within a 60-mile radius of Erie PA. Entries must be received by April 30, 2016. For the application and further details, click here. Posted By PA Breast Cancer Coalition on January 15th, 2016 at 9:40 am | 0 comments. Pictured in photo: Organizer Stephanie Lux with her daughter Brooke Bosley, James Stonebraker, Sr., Kristen Snoke of the PBCC and Deena Pace. Players, parents and patrons of Fastpitch for a Purpose came together in a huge way this past October, knocking it out of the park for the 4th consecutive year. Led by coordinator and creator, Stephanie Lux, this event raised $12,500 for the PBCC’s programs and services to help breast cancer survivors! Every year, Stephanie rallies the youth in Shrewsbury, York County, to team up in the battle against breast cancer. Girls ages 8-18 play in this 2-day softball tournament, many of them in honor of a loved one who has been touched by breast cancer. The girls leave feeling inspired and passionate about the cause, knowing that they made a difference by doing something as simple as playing a game that they love. Since 2012, this incredible community-wide fundraiser has contributed over $40,000 to the PBCC and helped spread awareness regarding our free resources. If you would like to get involved with this event, please visit their Facebook page here, and save the date for this year’s tournament: October 1-2, 2016!